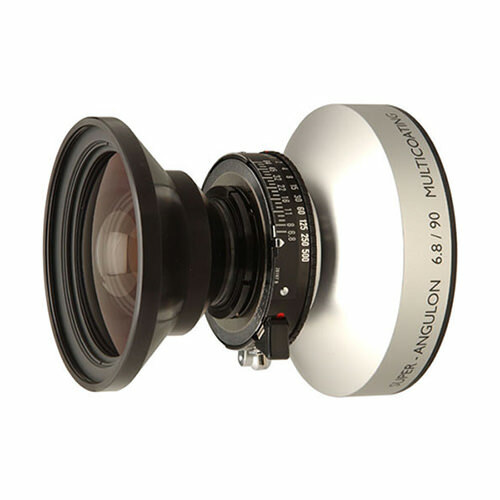 Lens Description: The Schneider 90mm f/6.8 Super-Angulon Lens is a long-time professional favorite for use as a wide angle lens for the 4x5 format. It provides an angle of view on 4x5 which is similar to a 24mm lens in the 35mm format, but with a large image circle to allow creative control for the photographer. The Super-Angulon has extremely high correction of distortion, which is critical in architectural photography.